Large fruit, blood red flesh. Sweet and juicy. Mid-season. Cross pollination, Narrabeen or Salad. Plant in moist, well-worked, well-drained soil. Add organic matter or animal manure to improve soil fertility and structure. Build up depth of top soil rather than dig into heavy clay soils. 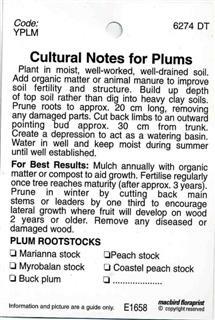 Prune roots to approx. 20 cm long, removing any damaged parts. Cut back limbs to an outward pointing bud approx. 30 cm from trunk. Create a depression to act as a watering basin. Water in well and keep moist during summer until well established. For Best Results: Mulch annually with organic matter or compost to aid growth. 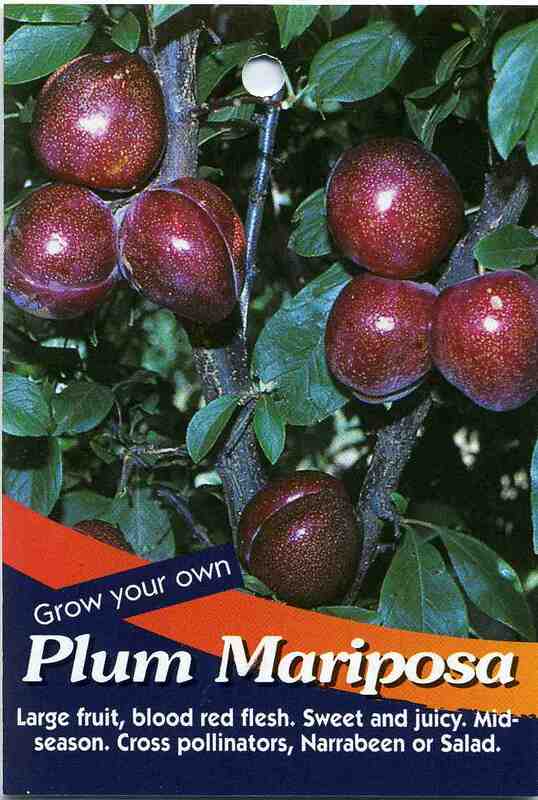 Fertilise regularly once tree reaches maturity (after approx. 3 years). 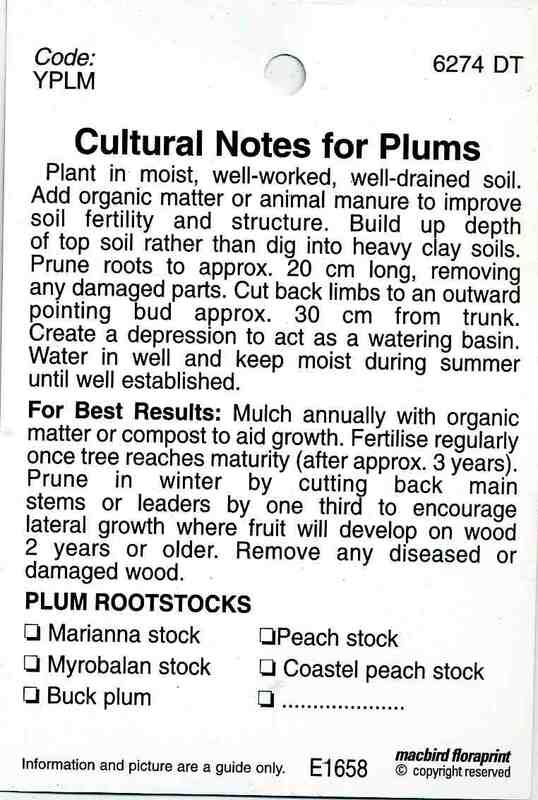 Prune in winter by cutting back main stems or leaders by one third to encourage lateral growth where fruit will develop on wood 2 years or older. Remove any diseased or damaged wood.